Well let me just say that im very happy that you have found a vaporizer which is ideal for your needs and purposes and which keeps you happy. I'm happy for you bro and I'm not going to take that away from you that's all I can say. Well, I don't know what your carrying on about, with Your condescending attitude? for what it was designed to do. Neither You or anyone else can take that away. The fact that it's design concept seems to go over many peoples head, especially those who just want to get highest, quickest, is no concern of mine. I was not being condescending at all. I was genuinely expressing happiness to hear that you are so content with this vaporizer it's just nice to see when people are so fully satisfied with a device that was all I wasn't being flippant at all. Simply wishing you well and being glad for your happiness I'm sorry that that was misunderstood. Cheesequake, Vapor_Eyes, ataxian and 3 others like this. Sorry! thanks for your approval. ataxian and Alexis like this. Happy friday to all whose fridays are happy. Just popping in to once again share how I’ve been enjoying my plenty recently. Got this guy and and an angled adapter off the gate from yingmin5 on a leap (its not a popular seller) I was looking for something with medium - lowish diffusion. I wanted some flavor but more so smoothness. Adapter will hopefully direct the heat somewhere less destructive than upsidedown. Anyway, Could not be happier. Glass is the way i tell ye! furman, grokit, Vapor_Eyes and 8 others like this. grokit, Vapor_Eyes, Alexis and 3 others like this. one year combustion free now and i´ve started with the Plenty as my first Vaporizer, still going strong! arb, ejackyou, ChooChooCharlie and 13 others like this. Congratulations! I think You made a very wise choice. Unless You need to get Stoned're Faster? arb, hujdimislav, LesPlenty and 1 other person like this. Bags look terrible, like you're huffing glue. They make weird crackling noises. Volcanoes and other fan driven units sometimes, for various reasons, dont always get super milky (most times they will once you get the hang of using them). That said, bags WORK AWESOME. Taste and coolness is great. Sip as much or as little as you want at your own pace. 1970 we had no choice? I was a not sure about them? Maybe I won’t know unless I try? Da PLENTY is so amazing awesome too me? Thank U @LesPlenty 4 da hot tip about this girl! Hey she taste so nice? EFFECT with strong CANNABIS is worth it! arb, Alexis, Vapor_Eyes and 2 others like this. Vape lounges here, all used to use Volcanos a few years ago, now most offer an enail rig. arb, ataxian and LesPlenty like this. I was going around regurgitating hear-say that it was the Plenty in Hash Bars...I was set straight by a member that actually frequented such places, thanks for another confirmation. So it is e-nails now, so mainly concentrates at Vape Lounges nowadays? 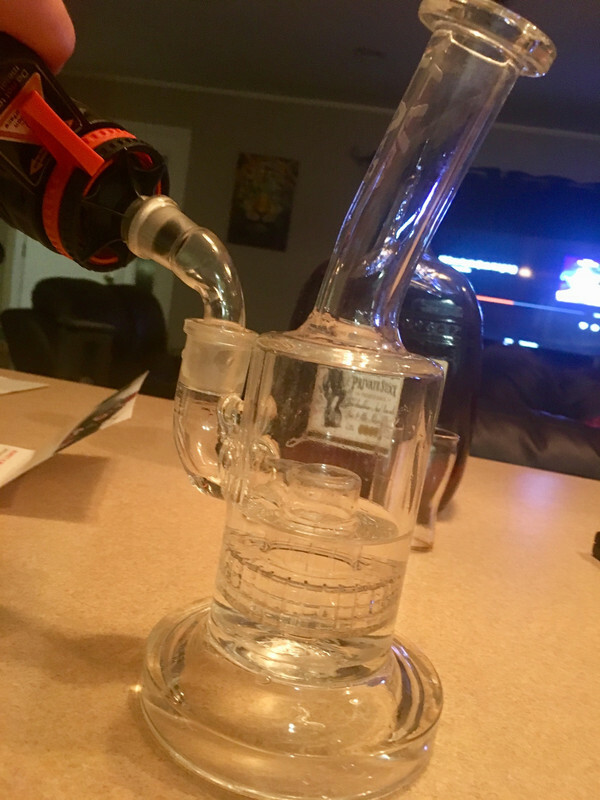 I have one of those adapters but did not like the sideways pressure exerted on the bong, do you just hang onto the Plenty? arb, Sick Vape, O-G-Reg and 4 others like this. Yesterday I thought that my Plenty was broken. Like if something was wrong inside the heating element. It only reached 180 degrees Celsius. I tried and tried, many cycles then I gave up, scheduling a new test for today and then deciding if I want to keep it like this, send it in (but it's out of warranty), or getting a new one (what to do with this unit then? Sell a half functioning unit is bad karma). After the first cycle this morning I realized the wheel was at 5, not 7 as it always is. Madri-Gal, Alexis, arb and 7 others like this. Madri-Gal, Alexis, invertedisdead and 4 others like this. A Spot of love for the Plenty. Every Patient that has tried it here said the same word by 3rd hit. Hell.... I still say it! WOW, like right now man...WOW! Madri-Gal, arb, ataxian and 3 others like this. I have many not to claim! FLAVOR = AFTER ICE AGE! Alexis, arb, Vitolo and 1 other person like this. Since I Vape for Medicinal purposes, First and foremost, Flavour is Not a consideration. Besides, the type of Vaporizer has Very little to do with Flavour? arb, ataxian and Vitolo like this. I vape for medical purposes also. Flavor is one of the bonuses of using various strains. In my experience this is far from true. Every vaporizer, has it's own flavor profile.... some give pure and marvelous flavor, while others do not... depending on material of the vapor path. Glass on Glass has very pure flavor. Convection units have a more true to strain flavor, while conduction based units can make many strains taste the same. ... which is convection in it's delivery. Cheesequake, SloJimFizz, Madri-Gal and 7 others like this. FLAVOR is a BONUS to some? It’s MEDICAL for however the FLAVOR makes it fun! Da PLENTY is EFFECTIVE and FLAVORFUL. POV? Madri-Gal, Alexis, hujdimislav and 2 others like this. Vitolo, ataxian and arb like this. Madri-Gal, Alexis, justcametomind and 3 others like this. Difficult to qualify such a statement in a categorical black and white manner. It is extremely common for vaporists, to use devices which they are not completely happy with all aspects of but overall still enjoy and work well for them alongside some other options. So I wouldn't say it is the "wrong" choice. Just not perfect by any means but then is there a perfect vaporizer yet? Let me add a comment to your’s? The PLENTY is awesome for me? The build quality is top level like a MERCEDES AUTO? sd401k, LesPlenty, Vitolo and 5 others like this. I don't think 'man' has ever made anything 'perfect'? Are as close as we will Ever get. LesPlenty, ataxian, Vitolo and 2 others like this. Peace of mind Nobel prize. cloudsosmoke, arb, LesPlenty and 4 others like this. Man confesses to be wise! Vitolo, justcametomind, arb and 2 others like this. An extra 20 degrees C, a user selectable timeout and portable would make the Plenty perfect. Hopefully the new S&B owners will update it. Edit; They could also change the bowl retainer setup to stop those little orange tabs breaking off so easily. Sick Vape, ataxian, Vitolo and 1 other person like this.